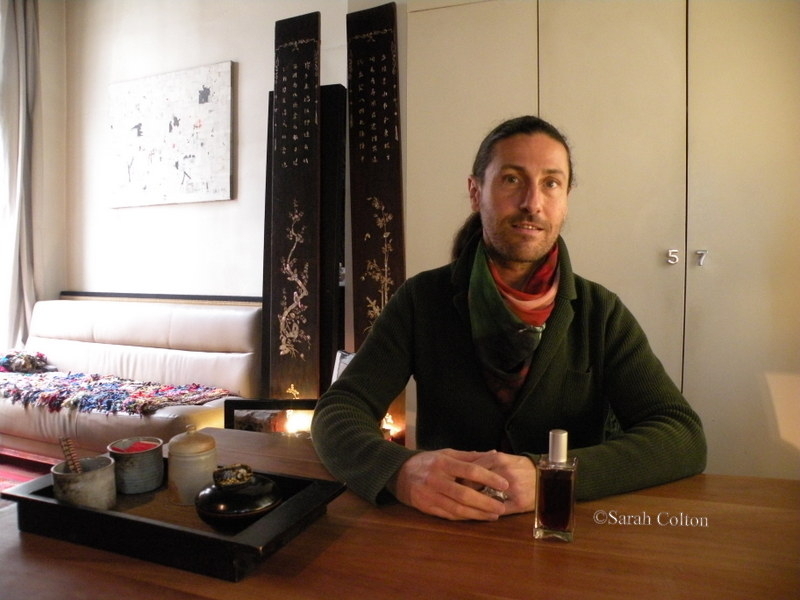 Conjuring songs from stones and symphonies from perfumes, Olivier Durbano is a man of poetry and quiet spirituality. Nothing hurried, all in its time. What he touches reassures. A morning with Olivier in his atelier rue des Francs Bourgeois in the Marais is a haven. To suppose, imagine, discover — and then to remember. Via his fragrances and the stones that inspire them: Heliotrope of Babylon for opening doors, Pink Quartz Stone for new awakenings, and the others awaiting discovery….